Inkpen magic! Why take a shuttle to space when you can fly there on runaway pants? This isn’t your normal, everyday trip to space… Zoe is hanging her pants out to dry one day when – whoosh! 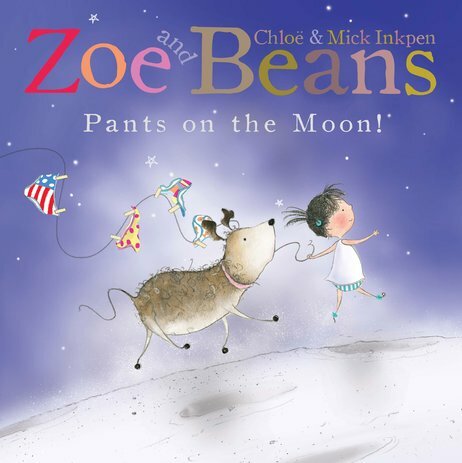 A big gust of wind blows her and Beans up, up, up into space, along with their washing line full of pants. When they land on the moon, there are lots of exciting things to see and do. But how will they get back home? A whimsical and dreamy picture book fantasia from the Inkpen family team. Good for little kids. Not for me, cause I’m 14, but yeah.